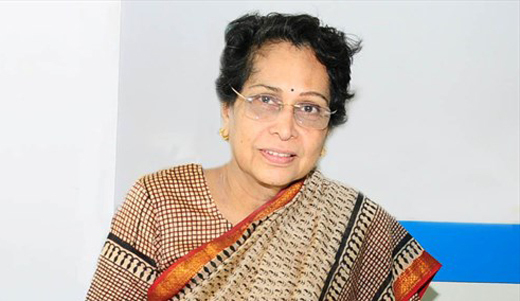 Mumbai, Jul 2, 2015: Special public prosecutor Rohini Salian, who recently stirred up a controversy by alleging that National Investigation Agency (NIA) had asked her to go slow on accused in 2008 Malegaon blast case in which some Hindu extremists are accused, does not figure in the latest list of prosecutors appointed by NIA. The notification, dated May 25 and signed by Joint Secretary M A Ganapti, discloses the names of 33 public prosecutors who would represent NIA in various courts across the country. However, Salian’s name does not figure in the notification. She had appeared for NIA in 2008 Malegaon blast case in which four Muslims were killed. Salian had recently told reporters that an NIA officer had told her to "go soft" on the accused in the Malegaon blast case, an allegation denied by the agency. She also said that the same officer had told her that she would be replaced. "I have not got any notification and I have also not received any letter from NIA or the ministry asking me not to appear in Malegoan blasts cases or NIA cases," Salian told PTI. Asked whether she made the ’go soft’ allegations against NIA after learning that her name was not mentioned in the new list of prosecutors, Salian said that there has been no written communication by NIA to her in that regard. The new notifications says that five lawyers have been appointed as special public prosecutors to represent NIA in Maharashtra. They are Pradhan Chandamal, Nandkishor Rathod, Sunil Gonsalves, Avinash Rasal and Prakash Shetty. Salian, a lawyer of 25-year standing, is also a prosecutor in Mulund bomb blast case (in which three cases are clubbed together) and 2002 Ghatkopar bomb blast case. She has also appeared in some high-profile TADA cases and MCOCA cases. Hailing from Mangalore, she has also served as the Chief Public Prosecutor in Mumbai for close to five years. She was also the public prosecutor in the 1992 J.J Hospital shoot-out case in which underworld don Dawood Ibrahim’s aide Subhash Thakur was sentenced to death.